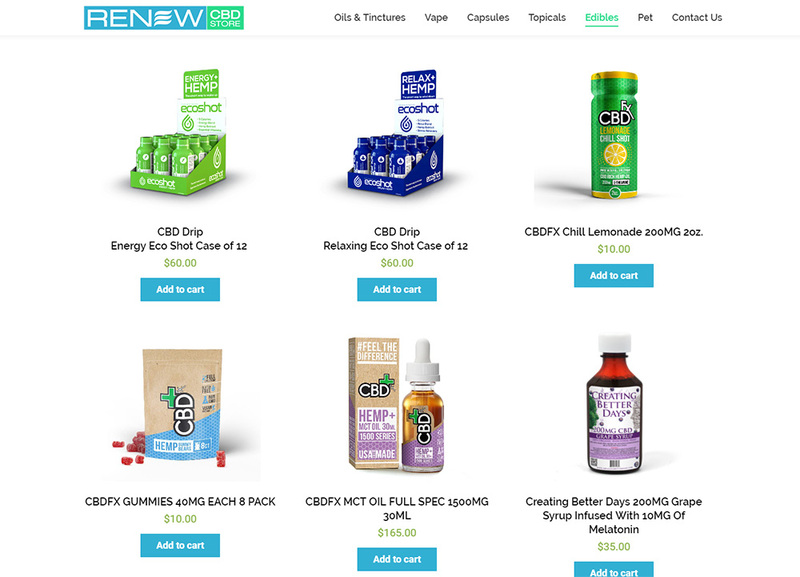 Visit the Renew Hemp CBD Store online. The Renew CBD brand of products and Renew CBD Store makes up one of our most complicated yet interesting clients. Based in Alaska, Renew is itself a product of the more recent laws regulating a legal cannabis and hemp industry in the state. 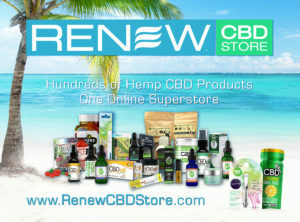 Renew’s business includes the development and production of Hemp CBD products for retail and wholesale, the management of two retail CBD stores in Alaska, and the management of on online CBD superstore, www.renewcbdstore.com. 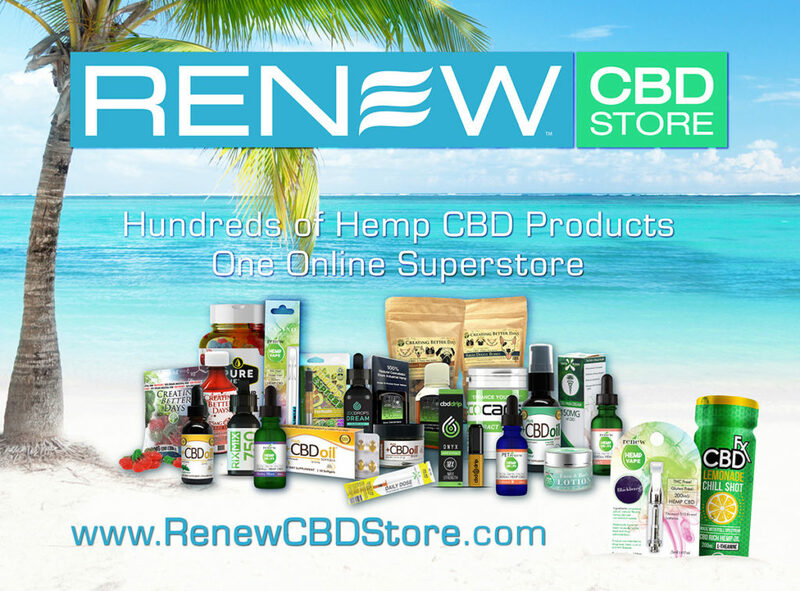 Both the physical retail stores and the online store sell Renew brand Hemp CBD products and products from other manufacturers as well. We’re talking about hundreds of different CBD products for both people and pets. To put it plainly, if you’re looking of a quality Hemp CBD product, Renew has it. As for their own brand of products, Renew puts a heavy emphasis on quality, purity, safety, and some pretty fantastic flavors with regard to any edible or consumable items. Their products include tinctures or oils that can be used as is or added to drinks and food, lotions to apply potent CBD direct to skin or joints where needed, vape oils for use in vape pens, and of course a quality vape pen and pen tops filled with CBD oil. These CBD products can actually be re-branded or co-branded for wholesale customers. AKSYS’ involvement with Renew has been wide-spread. We’ve designed and printed (3rd party printing) all of the Renew product labels and/or packages. Designed most expo and event display items such as banners and table runners. We designed their product flyers and brochures. Logo improvements and file setups for various uses was also on our list of to-dos. 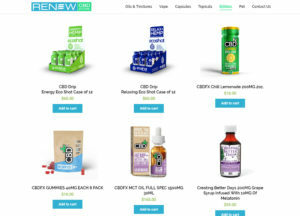 And of course, as one might expect, we have been involved at the most crucial stages of the www.renewcbdstore.com website development providing the setup of a wholesale buyers system, website updates and search engine optimization. Additionally, AKSYS was able to flood the internet with business listings pertaining to Renew. Within days this new company had a large, reputable presence on the internet to help attract CBD retail and wholesale customers. The two Renew Hemp CBD retail stores in Alaska can be visited inside each of the two Southside Garden Supply stores (hydroponics and indoor gardening supplies) in Anchorage and Wasilla. From our experience, customers will find friendly and helpful service. Everyone is encouraged to ask questions, especially considering that CBD is still a fairly new means of managing health and wellness concerns. The online Hemp CBD store can provide retail sales, wholesale sales and registrations/applications, and even includes some special offers such as free shipping on orders over $100 and other giveaways. It’s been a pleasure helping Renew get to this stage, and as an ongoing client AKSYS is even more excited to be involved with establishing healthy CBD product sales growth for this new Alaska Hemp CBD business.